Home / International / News / Politics / video / An American nurse sends message to Trillanes: Are you drunk? What are you talking about? An American nurse sends message to Trillanes: Are you drunk? What are you talking about? 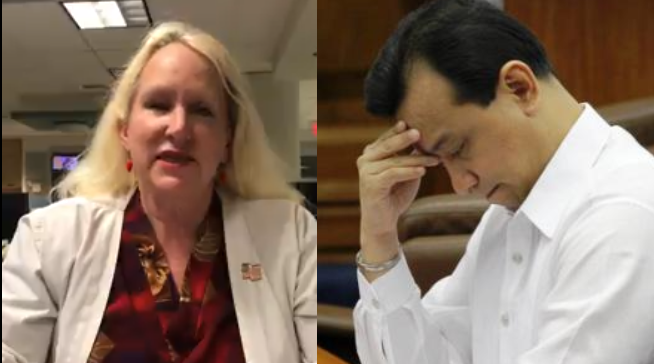 A nurse from United States of America sent a message to Antonio Trillanes after the senator compared the citizens of Davao City to North Korea, whose citizens are said to have been brainwashed into praising their leader Kim Jong Un. Trillanes made the statement in a press briefing prior to a forum before the Filipino community in Chicago a few days ago. In a short video, the American nurse said that Trillanes' remark was wrong. "Were you drunk when you made the comment that Davao City is comparable to North Korea? I don't understand what you're talking about. You must have been drunk or out of your head. I am sorry but it's just wrong. Don't talk about untruths to other people." Just recently, Sen. Antonio Trillanes IV has been declared "persona non grata" or unwanted and unwelcome in Davao City over a statement that it was "the most dangerous city in the Philippines."